And so all good things come to end. Tuesday 28th August 2018 was our final Club night at TS Tiger, home to the Chippenham Sea Cadets. We now meet at Kington Langley Village Hall every Tuesday evening from 7.30pm. Chippenham & District ARC, after 40+ years based at the Chippenham Sea Cadets HQ in Long Close, has relocated to Kington Langley Village Hall w.e.f Tuesday the 18th September 2018. We would like to extend our thanks to the Chippenham Sea Cadets for the many fond memories and great times we have had at TS Tiger and we wish them every success in the future. Your Committee hopes you will enjoy the new venue, it has a great deal of scope to expand the club, to include provision for disabled users, and offers a safer environment and more secure tenancy. Founded in 1966 by Bernard Wilson, Alan Hargreaves, Jim Sparrow and Philip Strand, we have been operating in Wiltshire for more than 50 years. 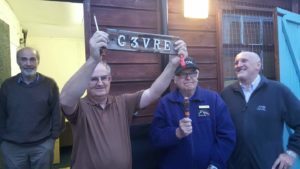 Originally located in the laboratory of Chippenham Boy's School (now Sheldon School), we were issued the callsign G3VRE in October 1966 before moving to our long standing base at Chippenham Sea Cadets HQ in Long Close, Chippenham in the late 1970s. The Club has now moved to Kington Langley Village Hall. 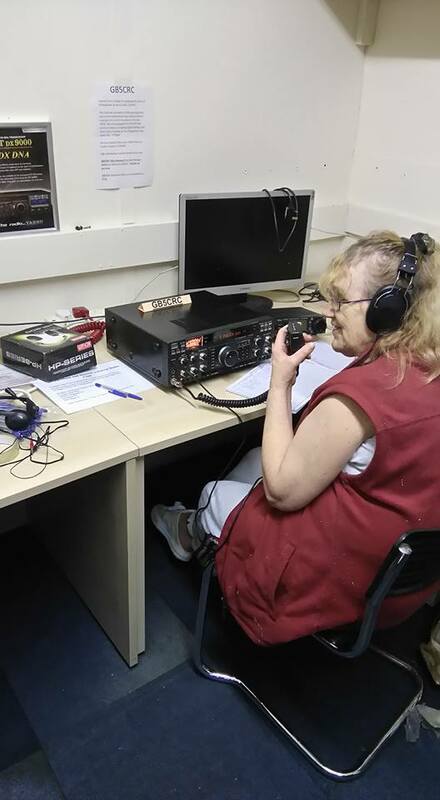 We strive to be a welcoming and inclusive space for all to come along and enjoy the hobby of Amateur Radio. An extract below from what we had at our disposal at the TS Tiger QTH. 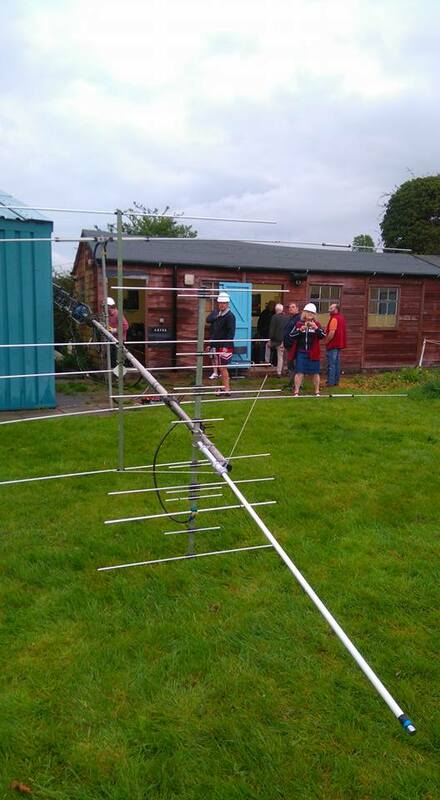 We hope to get operational again as soon as possible from our new venue in the autumn. The summary below remains for those who remember it as it used to be. 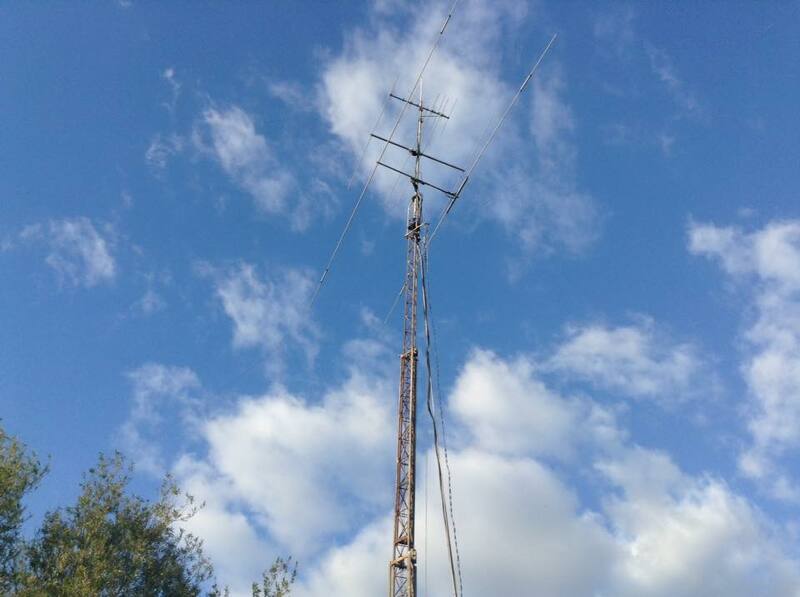 We have our own Strumech Tower 60 foot mast with a selection of HF, VHF and UHF antennas permanently erected on site, including a 2M/70cm Tonna crossed Yagi, Homebrew 6M Yagi, Dual Band Colinear and a Kevlar Doublet Antenna. The tower also has a rotator which gives us more focused directionality when required. 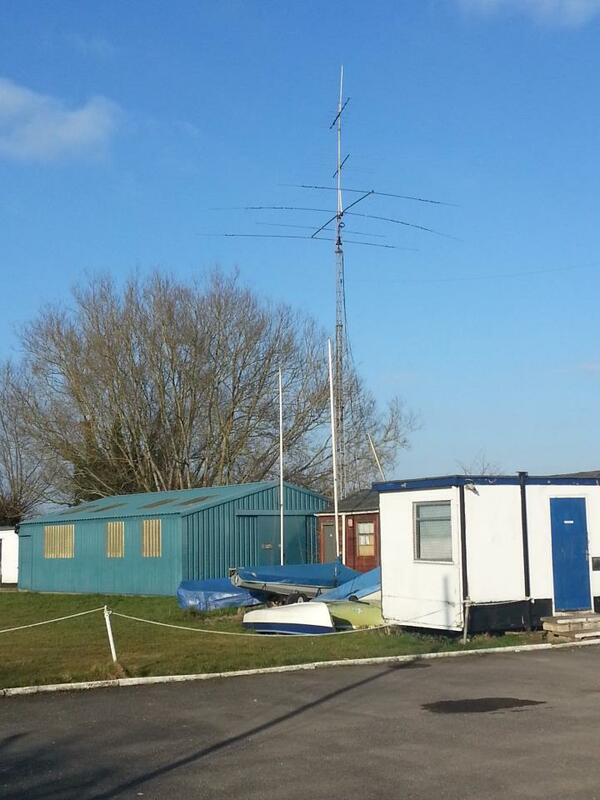 Our members are able to operate and use any of our radios connected through this mast including our YAESU FT990, ICOM 706 MKII, Yaesu FT450D (HF, 10 & 6m), Hytera MD785 (DMR radio) or our Yaesu FT101E. With a number of operating positions available, we are able to have multiple radios in use at any one time. 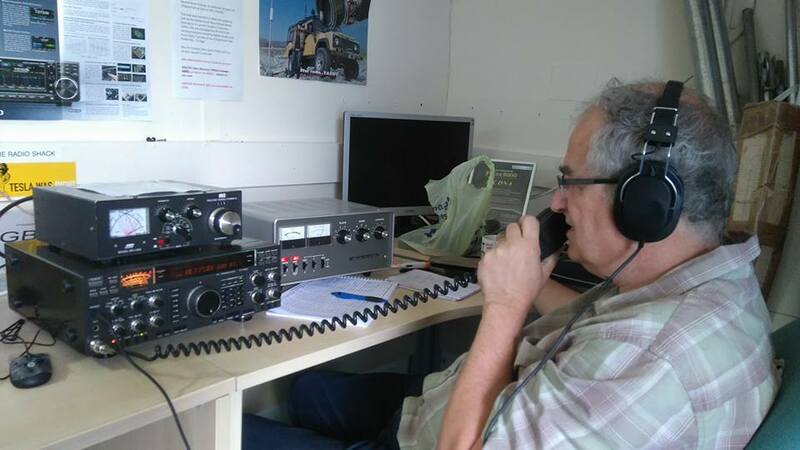 People join Amateur Radio for a number of reasons, some are into the technical side of the hobby and are keen builders of circuitry and even their own radios and antennas, whilst others might be more interested in operating radios for social or competitive reasons. Whatever your interests might be, you will not be alone as we have members from all walks of life, all in the hobby for their own reasons and with their own aims and objectives. 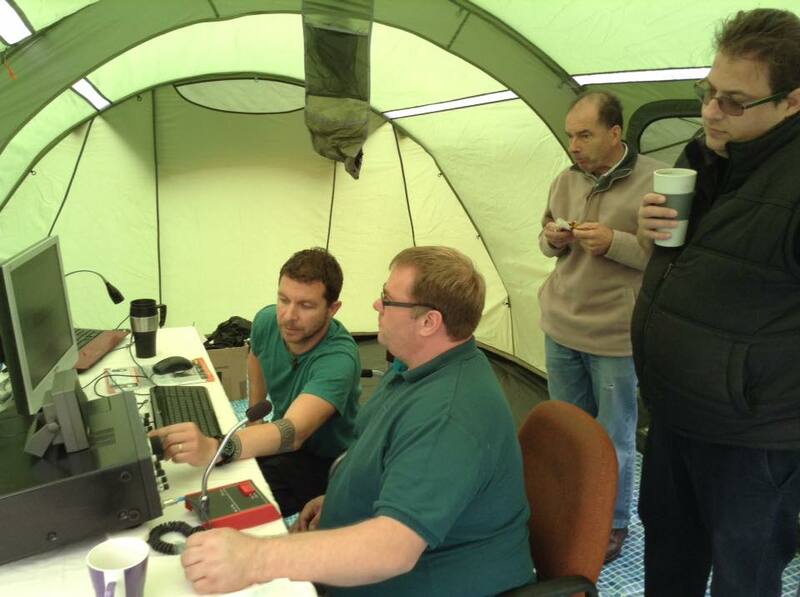 With the use of classrooms on site, and with a variety of members skilled in so many areas of the hobby we are also fortunate to be able to offer support for people looking to develop their skills in particular areas, as several members willing to offer coaching, training or demonstrations in specialised subjects such as DMR, Morse Code or even help achieving the practical assessments required for the Foundation, Intermediate or Full Licence examinations. We are registered examination centre so we are able to also offer our site for sitting the exams. Our Members range in age from school age through to pensioners. 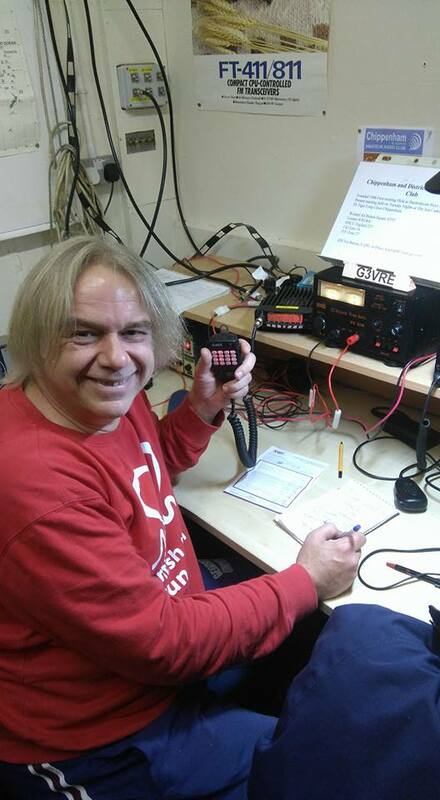 Some have had a background in radio (perhaps CB, PMR or similar) but many new members have never used a radio before. Whatever your situation is, if you are interested in starting a new and exciting hobby - please do come along.